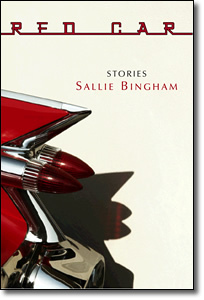 Forty-year veteran of the novel, noted feminist, and author of over ten books, Sallie Bingham returns with Red Car, a collection written in her signature style-discreet, sly prose circling taboo subjects. Her new offering is about love enjoyed, whether alone or with lovers, sensual or familial, comedic or tragic, often with a wry twist. 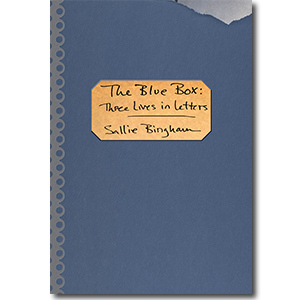 In these twelve stories, Bingham travels from the beaches of Normandy shortly after the second World War, to modern-day Brittany, Santa Fe, Florida, and Southern Colorado to situate her wide range of characters. Her protagonists blunder through relationships, no matter where they happen to live. But somehow we know they’ll survive and be wiser for it. Bingham’s new collection, with its honed aesthetic of subtlety and honesty is an adventurous read. Read an interview from Sarabande Books’ website (.pdf format). More information available on the Sarabande Books website.